Targeting Facebook's business model, US President Donald Trump's former chief strategist and former Vice President of Cambridge Analytica Steve Bannon has accused the social network giant of selling people's data. Speaking at a conference held by the Financial Times newspaper on Thursday, Bannon, however, said that he did not know about the political data analytics firm's data mining from Facebook, CNBC reported. "They take your stuff for free. They sell it and monetise it for huge margins. That's why the companies trade for such high valuations," Bannon was quoted as saying. "Then they write algorithms and control your life," he added. Cambridge Analytica, which worked with Trump's election team, was accused of harvesting millions of Facebook profiles of US voters. The firm has allegedly been using Facebook users' data to unfairly influence election results by psychological manipulation, entrapment techniques and fake news campaigns. According to a report in the Guardian, Bannon later said outside the conference room that he "did not remember" being part of any scheme to buy data that came from Facebook and divert it to use for election propaganda. He claimed that neither he nor Cambridge Analytica had anything to do with "dirty tricks" in the use of information harvested from Facebook to make computer models to sway elections. He blamed any "dirty tricks" on Cambridge Analytica's parent company, Strategic Communication Laboratories (SCL). "Facebook data is for sale all over the world," Bannon told the Guardian. 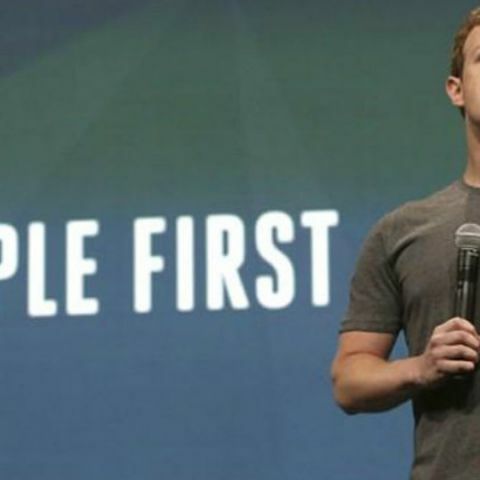 Facebook CEO Mark Zuckerberg on Wednesday admitted that the social media giant "made mistakes" over the scandal and a "breach of trust" had occurred between it and its users. Cambridge Analytica is now being probed in the US for the company's role inTrump's presidential election campaign.